Last night I published another shawl pattern. This time a Scottish-inspired shawl combining lace and travelling stitches that create a really lovely argyle texture. The shawl is named after Archibald Campbell, the 1st Marquis of Argyll of the Scottish county of Argyll. The Campbell of Argyll clan is where the argyle pattern originates from, it can be derived from the clan’s tartan, Black Watch that is also the most commonly used tartan in the world. 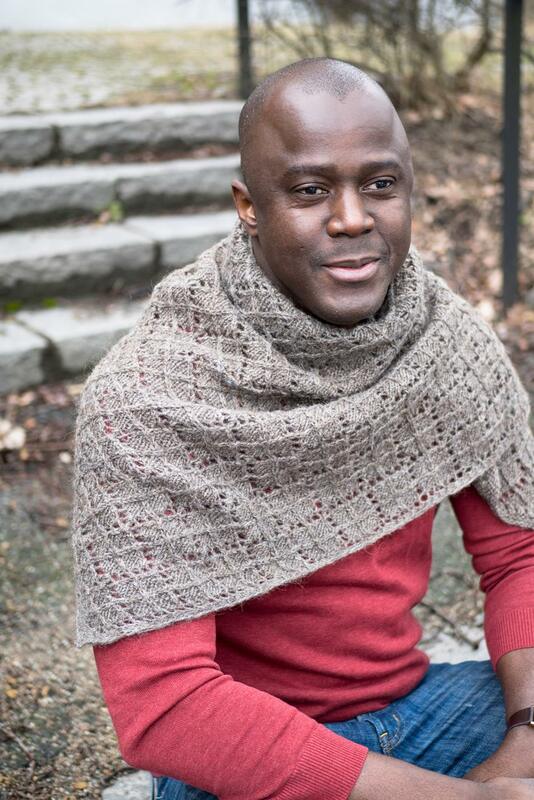 I also think this shawl is unusually well suited for men, for a shawl that is! So a friend’s husband, Edward, agreed to model it for me to show how nice it looked on him, but I also love it for myself so Julia modelled it as well to show that it’s truly unisex!